Birthday traditions are important for many American families. 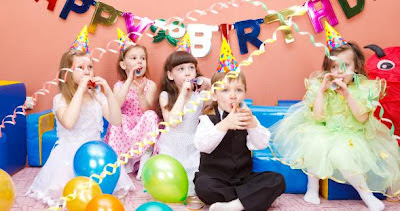 Especially for children, birthday parties are always a fun celebration, but it’s also important that children dress right for the occasion. The first important rule for dressing your child for a birthday party is to find out the theme of the party. This factor is extremely important to consider—you do not want your child to look over-dressed, and even worst, under-dressed. If your child is attending a formal birthday, ideally he/she should be wearing a fancy outfit. Costume parties, however, are so easy. You can get away with dressing your child in any outfit. You can even find something from your own closet to use. On the other hand, there are parties that have a specific theme, like a princess dress up party. Princess parties require that guests come dressed in their favorite princess dresses, and accessorized with sparkling tiaras and wands. A second tip to remember is to research for the latest styles and trends in children’s fashion. If you aren’t aware of the new trends, get some ideas by browsing through online websites, like NancyAugust.com, for the latest children’s formal attire. When deciding for the right clothes, include your child in picking out the right look. Use this opportunity to also create some bonding time with your child. Just make sure that you print or save your findings for reference. Lastly, choose the best accessories to complete your child’s overall look. Accessories are essential, especially for pairing with party dresses. If your little girl is wearing a fairy or princess costume, you should then purchase a small tiara to complete the whole appeal. If you’re looking to save some money, opt for making your own accessories. Check back for some more useful tips!